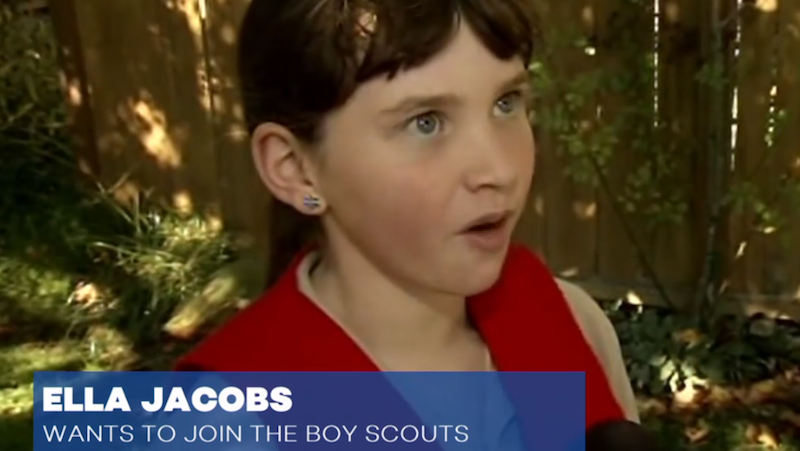 A group of girls in Santa Rosa, California are fighting to become official members of the Boy Scouts of America. The girls, who have dubbed themselves, “The Unicorns,” expressed interest in joining the organization after participating in Learning for Life, a co-ed subsidiary of the Boy Scouts that helps develop skills and self confidence. A meeting was held recently between the Unicorns and local Boy Scout leaders, where the girls asked to be made official Boy Scouts. The men said they had no authority to approve their request themselves, but would forward their applications to the national headquarters. So for now, the girls will have to wait. “I’d like to see them standing up like they did for the gay scouts and the gay leaders,” said Allie, one of the Unicorns’ members. The Boy Scouts of America lifted its ban on gay scout leaders this past summer.